National Gin & Tonic Day is coming up on April 9, and we think the best way to celebrate the drink holiday is by raising a glass of the stuff. 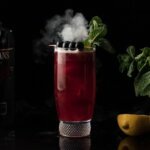 While you could simply mix gin with tonic and call it a day, we’re fans of these creative libations that put an inventive twist on the classic cocktail. Mix one of these delicious Gin & Tonic variations at home to show your love for the drink. Hendrick’s Gin ambassador Mattias Horseman created this beautiful Highball to be equally interesting and refreshing. 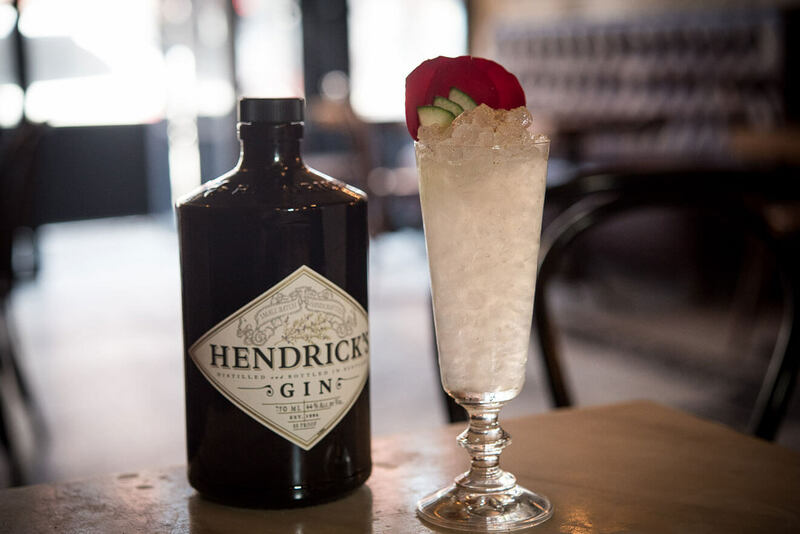 The cucumber and rose garnishes bring out the gin’s unique botanicals. Preparation: Fill a highball glass to the brim with high-quality ice. Pour ingredients over the ice and mix gently. Garnish with a slice of fresh cucumber and rose petals. 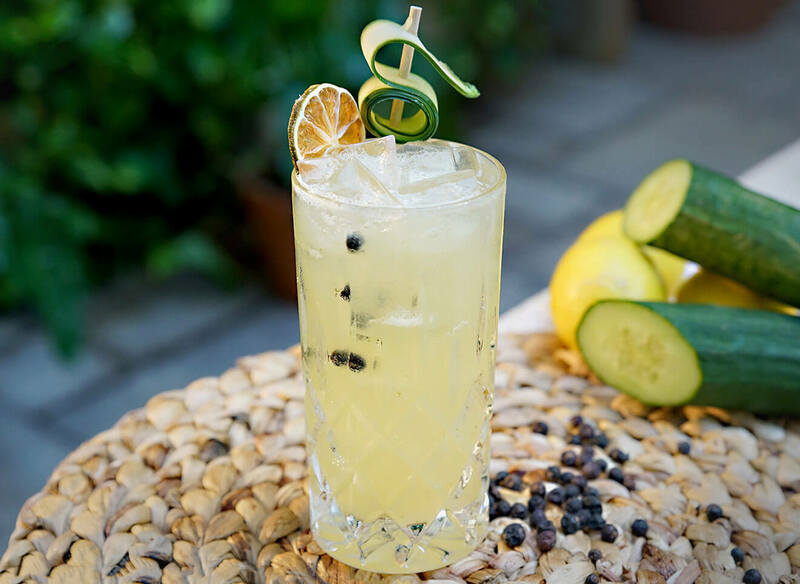 Mixologist A-K Hada created this flavorful G&T variation to celebrate the World’s 50 Best Bars 10th anniversary earlier this year. 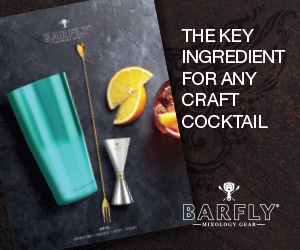 It’s an impressive and refreshing libation to serve as the welcome drink at your next dinner party. Preparation: Add all ingredients to a copa glass over ice. Stir gently. 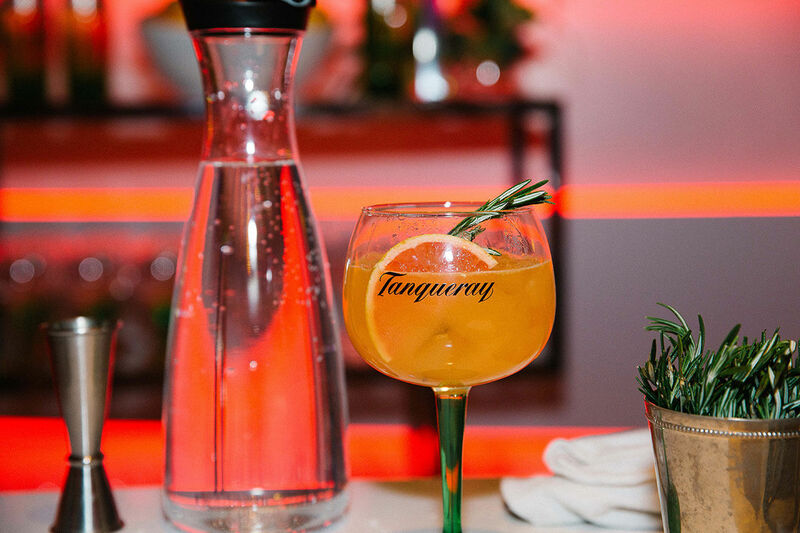 Garnish with a rosemary sprig and grapefruit wheel. Preparation: Blend equal parts by weight of kumquats and a 1:1 simple syrup with a hand blender. Fine strain, bottle and refrigerate. 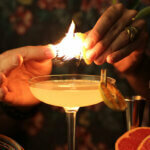 Miami eatery Ariete has a diverse cocktail program that features modern twists on classic drinks. This take on the Gin and Tonic features a homemade cucumber tarragon shrub that’s actually pretty simple to whip up at home. 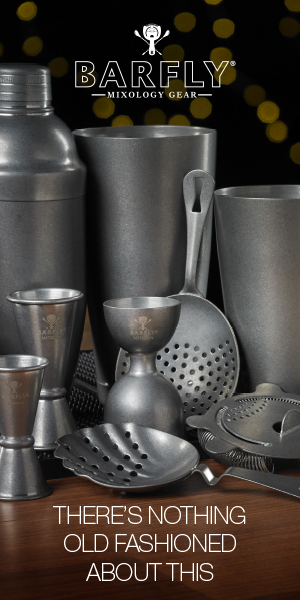 Preparation: Place all ingredients, except tonic water and garnishes, in a shaker tin with ice, and shake. Pour Fever-Tree Mediterranean Tonic Water in the tin. Pour into a Collins glass over ice. Garnish with a dehydrated orange wheel and cucumber ribbon, if desired. Preparation: Combine all ingredients in large pot and bring to a boil. Once boiling, bring the temperature down and simmer for 30 minutes. Let rest and cool, then strain. 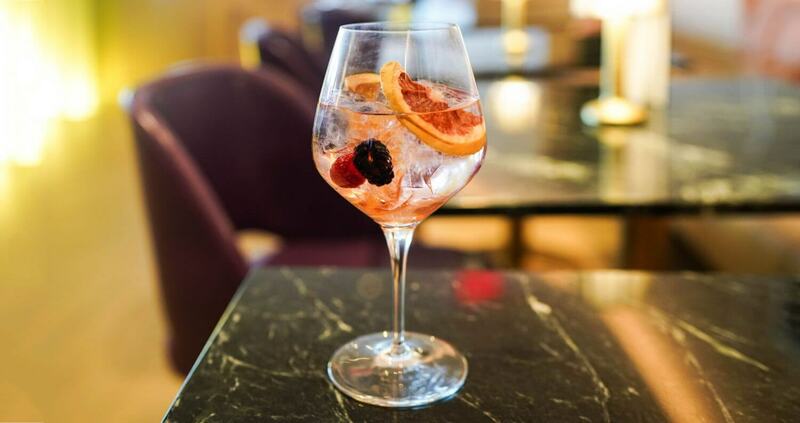 The NYC outpost of Bluebird London dedicates an entire section of their cocktail menu to Gin and Tonics, and this fruit-filled recipe is one of our favorites. 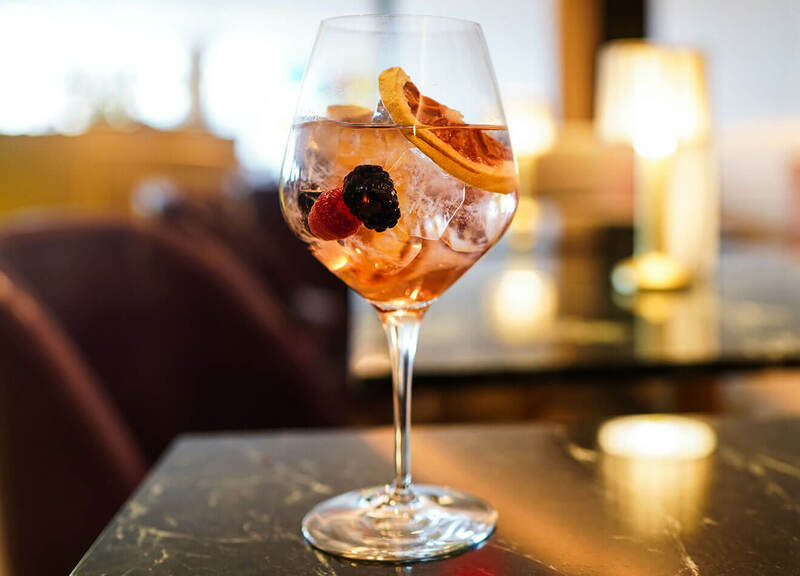 A mix of Brockmans Gin and Fever-Tree Indian Tonic is garnished with a bouquet of berries for a simple sipper that’s perfectly refreshing in warmer weather. Preparation: Combine all ingredients over ice in a wine glass or large goblet. To celebrate cherry blossom season in Northern California, the St. Regis San Francisco is offering a special “East Meets West” cocktail menu through the month of April. 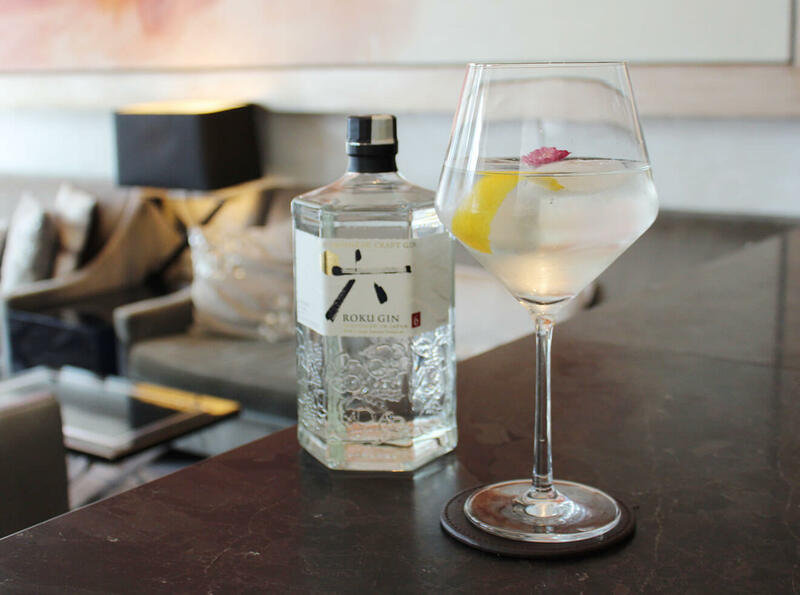 Their Japanese-inspired Roku Gin and Tonic uses a green tea yuzu syrup to give it a bold, citrusy punch. 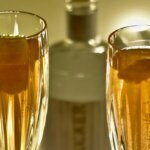 Preparation: Combine syrup and gin in a balloon glass. Top with tonic water. Float a dash of Szechuan pepper on top and garnish with a lemon rind and edible flower, if desired. Preparation: Add sugar and water to a saucepan and stir over medium heat until the sugar is dissolved. Add green tea and yuzu juice, and mix over low heat to combine. Strain the mix and allow to cool before use.